Hello Dario and welcome. Can you tell us more about yourself? I have always been doing martial arts. Since I was 12, I started with kung fu and on my journey in martial arts I met many disciplines, like boxing. For me, it was easy to do kung fu because I was training Sanda, which I used to train for a long time as a professional fighter. Then, I moved from Rome to London and started training with a guy who was a good wrestler. We were sharing experiences, he as a wrestler and I as a striker. So, he started showing me some crazy moves on the floor in 2002. I basically started training grappling and then, one day he told me that I should try a Brazilian Jiu-Jitsu class. I have never heard about BJJ before that moment, in 2003. Then, I started Brazilian Jiu-Jitsu and it became something in which I took a lot of interest. Eventually, I moved back to Rome. I gave up my job, I had a record label and I was working with music with my brother. So, I sold my share of the company and the practice of Jiu-Jitsu besides being my passion, became my job. I was doing it for no money, so I believed that it is a job, it’s going to be good. You are the person behind UIJJ, can you tell us more about it and how did it all start? It started in 2001, right after I moved back to Italy. I had just got a black belt in August 2011 from Master Jean Jacques Machado. I officially started in 2004, so it took me about 7 and a half years. But I was doing some extra grappling for a year. The last four years were very intense. 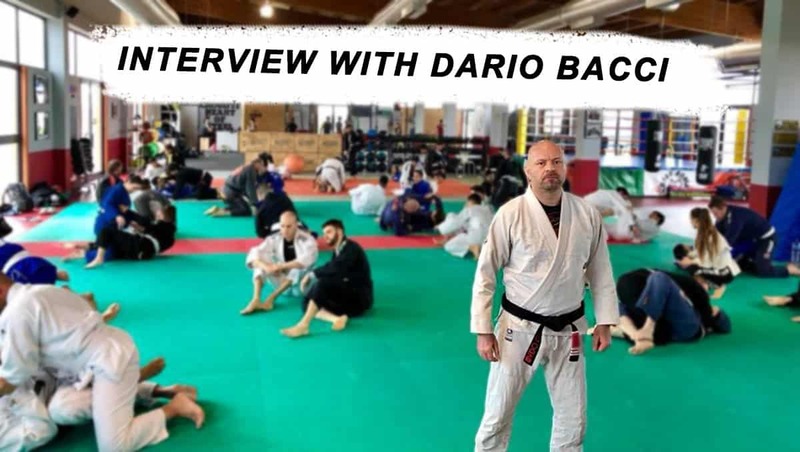 I teamed up with professor Federico Tisi who is the pioneer of Brazilian Jiu-Jitsu in Italy. He was the first black belt. 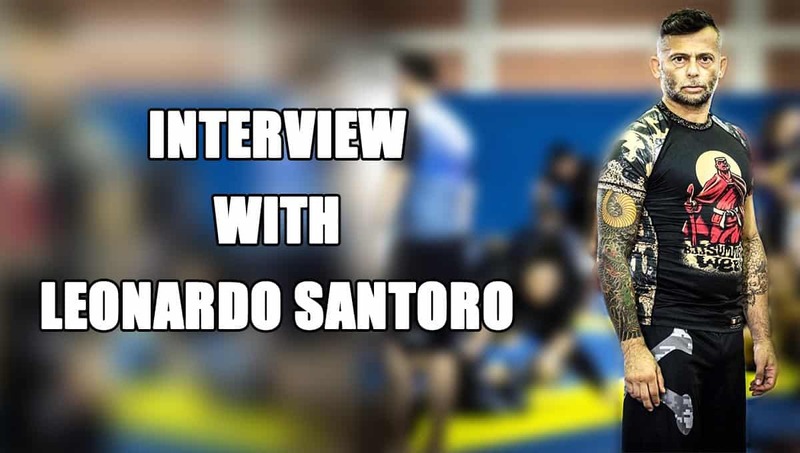 He shared with me the idea of creating the federation in Italy because he had received the request from IBJJF. So, we went together to Los Angeles and we spoke to the directors of IBJJF and it started. We were officially demanded to create the Italian Federation. Right after that, we organized and moved the European Championship from London to Rome. It started with a very important championship in our capital in Italy. Do you have some special diet or habits that help you during your BJJ journey? I wish I was a little bit more disciplined when it comes to food. I am not a drinker, I just drink some beer from time to time. But food wise, I am not very disciplined. I manage to avoid lactose from time to time and I feel a lot better. I noticed that my performance increases a lot, at least 30% with the same technique. If I was a little bit more disciplined and if I was to follow a champion’s diet, I would perform a lot better. But, BJJ is helping me to be on the safe side. If I didn’t have the commitment of Brazilian Jiu-Jitsu, I would probably let myself to many sins and bad habits. With Jiu-Jitsu you tend to run a bit more, to eat less, and behave a bit better. Otherwise, one day you’re going to have to spar with your students who are twenty years younger and it’s going to be hard. 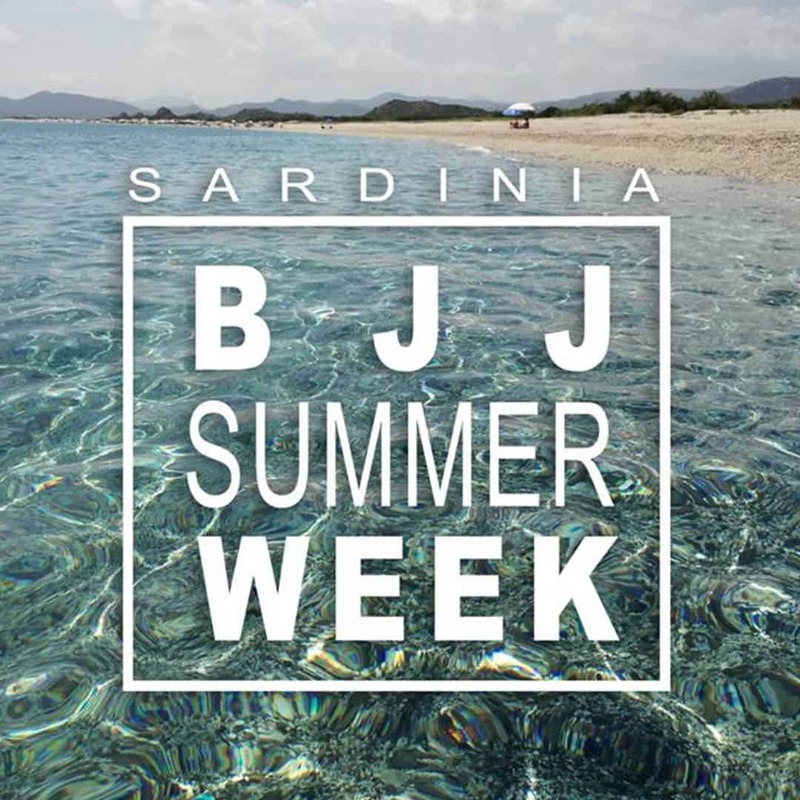 You were more than once at BJJ Summer Week, share your experience with us? Why should people join us next year? First of all, the frame of the Summer Weeks is marvelous. Sardinia is an amazing country with great food and you discover something really special, like the sea and the attitude of the people. So, the frame is already an amazing part. If you like Jiu-Jitsu, the actual reason why you come is even more than amazing because you have teachers from all over the world. You can train all day long or you can rest, spar and train with different guys from all over the world. You attend about 10-15 seminars which would normally cost you a lot. 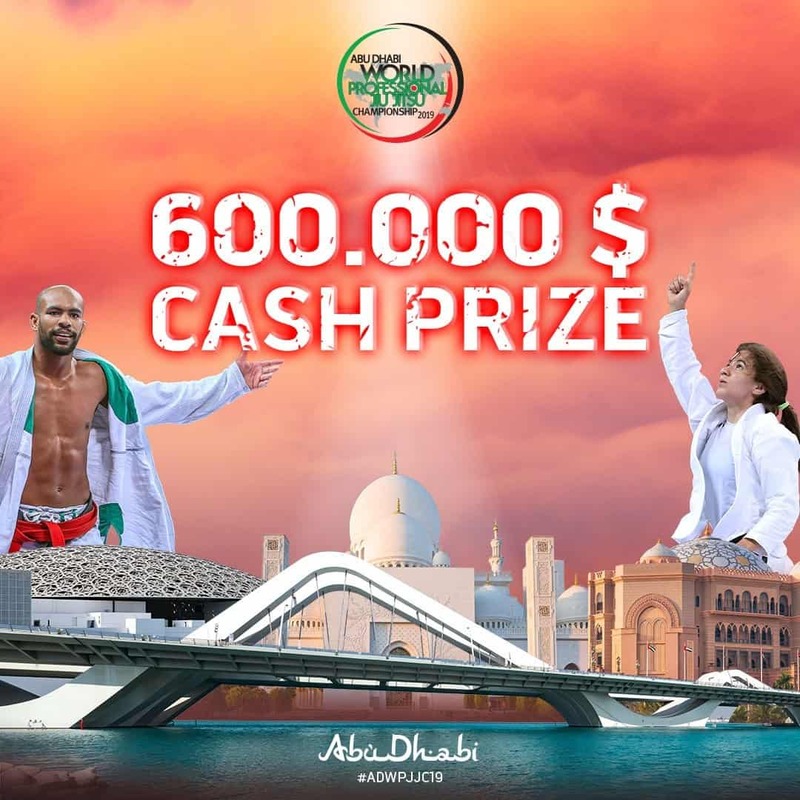 So, it’s a great chance for somebody who wants to have fun and train Jiu-Jitsu. I can’t see why you shouldn’t come. Who were the biggest influencers in your BJJ path? When I started, I didn’t know anything. The internet was not like today and I think that YouTube didn’t even exist in 2002. There wasn’t as much information as there is today. So, I remember me entered Jiu-Jitsu in a Carlson Gracie team, which as a style of Jiu-Jitsu is very hard and rough. My initial years were very hard training. After that, I felt a necessity to find a style that would be a lot more fluent for me. I’m naturally not a very strong person, but I am quick as far as body performance. So, I had to find something that suits my game. 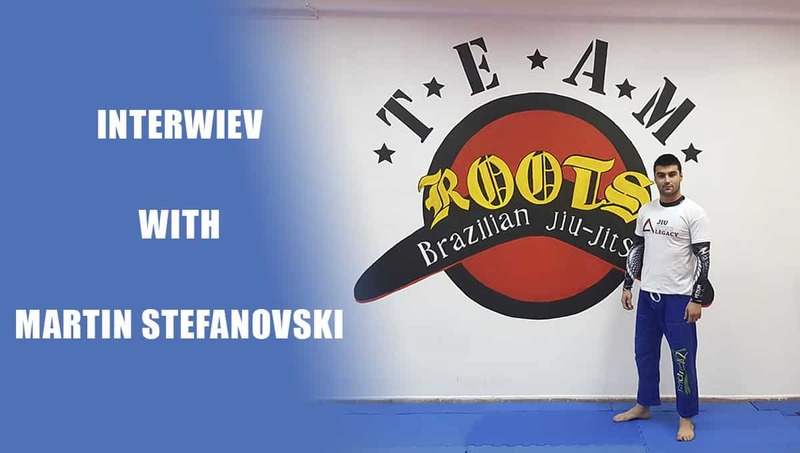 I went to Brazil and started training with Ricardo Vieira, who is the head of Checkmat, and one of his students, who is a friend of mine, Alessandro Tomei. I learned a lot from them and I moved from Carlson Gracie to Mario Reis. I was training with him and his student Leopoldo Pires. With them, I moved from purple to brown, nearly black. The problem was that Leo moved to Dubai and I was basically left alone. I met Jean Jacques Machado through my kung fu teacher. I had an opportunity to train with Jean Jacques and I had a lot of inspiration and opportunity to learn. Eventually, he gave me the black belt. Nowadays, I think that I am the only black belt in Europe from Jean Jacques Machado. That was in 2011. Now, seven years later, I’m a 2nd-degree but after that I studied with a lot of guys. I took reference from a lot of good athletes, like Rubens Charles aka “Cobrinha”. I liked a lot Michael Liera. Also, I always watch Léo Vieira, the brother of Ricardo Vieira. I trained with Leandro Lo for some time in 2013. Do you like teaching BJJ seminars? How do you manage to keep people focused when you teach? Where can we see you on your next seminar? I love teaching seminars. I think I’ve always had a particular familiarity with teaching. I tend and like to be very clear and I like to pass a message to someone in a way that there is no chance for him not to understand. Also, in many areas of my life, I’m not a perfectionist but in this one I am. I’m very untidy, my room is a mess, I’m always late, but when it comes to Jiu-Jitsu I try to be very sharp and precise. The way to keep people’s attention to my seminars is making sure that the technique and message you’re passing is effective and accurate. Also, the way you explain has to be linear, fluent and transparent. I try to follow a line and I do one of two things and I try to make a logic between the first and the second. I never pick up things from different areas. For example, it’s like if you’re painting you don’t add extra colors. I love to do graphics, so if I do graphic I use black and grey, maybe some white. So, I think that this automatically works on people and this is how they stay focused. I have 19 branches of my team in Italy and I teach in Rome but I have south and north of Italy and Austria. I have a lot of places, so I’m pretty much everywhere. How do you sense when someone is ready for a higher belt? Well, one element is time and constants. If the guy has been constantly training for a period of time, I know for a fact that there must have been an improvement. This is not guaranteed but a first sign. For example, if a guy has been training very hard for a year as a blue belt, it’s not the time for a purple belt. Even though he’s training very hard and having success, one year is just not enough. One year for a purple belt is not enough, maybe is enough for a blue belt. If a white belt is training very hard for a year, then you can give him a blue belt. But the purple belt is the hardest stone. So, you have to even make sure that the guy is psychologically ready. Sometimes, he’s ready but he doesn’t know. So, you have to give him a belt for him to realize that he’s ready. Sometimes he thinks he’s good enough but he’s not, so you shouldn’t give him a belt because then you might create too much pressure. Or, you can decide to give him a belt to push him harder. Maybe he’s lazy, he’s alright with the blue belt even though he’s been training for 3 years. So, you just give him a purple belt and it is like a wake-up call. I used these references and I am also an international referee and teacher. 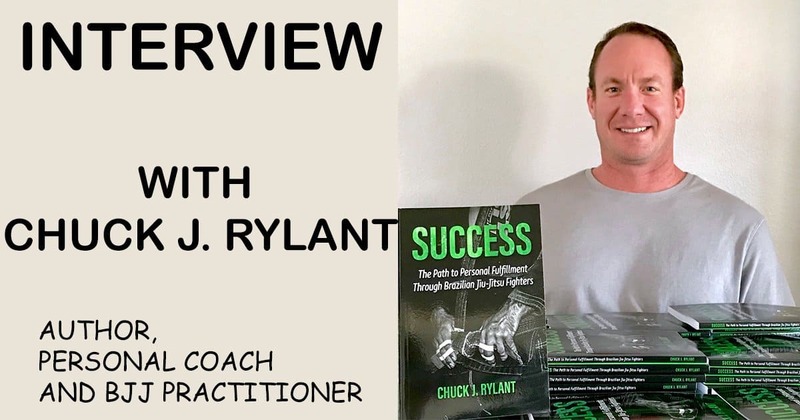 So, with my experience training hundreds of people, I can tell from how you do a certain move, the depth and the level of knowledge you have. Do you travel a lot, if so where did you get the biggest BJJ experience? Of course! I would say mainly in Brazil and in the States. It’s been 10 years now I’ve been going to Brazil every year, sometimes even twice a year. I love Brazilian culture and I speak fluent Portuguese. This is the most authentic source of the discipline. The States are also a great chance to learn and Europe is becoming big because now we’re getting to a generation where people have been training since white belt with Brazilians. It’s like training in Brazil pretty much. Can you compare the Jiu-Jitsu now and before? Where do you see Jiu-Jitsu in 10 years? Of course, I can compare it, but there is no comparison. When I studied Jiu-Jitsu at Carlson Gracie, our training was every day closed guard. A half guard was a mistake and option one was to go back to closed guard. Open guard didn’t exist. This is how I studied Jiu-Jitsu from white nearly to purple. It gave me a very good basic but it slowed my learning. Nowadays, you see white belts do all kinds of crazy stuff. I’m not saying that white belts shouldn’t do high level things for which you need experience. Everybody needs to do the basics. A black belt is a black belt because he knows how to do the basic things at a black belt level. That’s what makes a difference. When a white belt is doing complicated things, there will probably be a lot of holes in his game. But, I’m saying that if you want to study, you have a lot of alternatives, good examples, and sources. I don’t know whether this is good or not, but it gives you a chance to refer to something bigger, different, and more creative. My advice is to use the martial art as a metaphor because that’s what it is. You’re never going to fight in your life because you go to jail if you fight somebody. That should never be a way to resolve an issue. But, it’s a good metaphor because when you start fighting, you have to confront yourself to others. Eventually, you realize that your biggest enemy is yourself. It’s very hard because that’s inside yourself and it’s a lot stronger because it’s you. So, you don’t know how to hide from you. So, you’re going to have to cope with a very strong enemy and once you learn this flow and attitude, you can use this principle in real life. Only 3% of the population get a black belt. So, if you get a black belt, you should ask yourself why should I not make more money and why should I not have a very good relationship with my wife. I want to be my own destiny. So, practicing martial arts and Jiu-Jitsu helps you a lot to realize that you can create a better destiny for yourself.